Episode I: Adventure in Space! 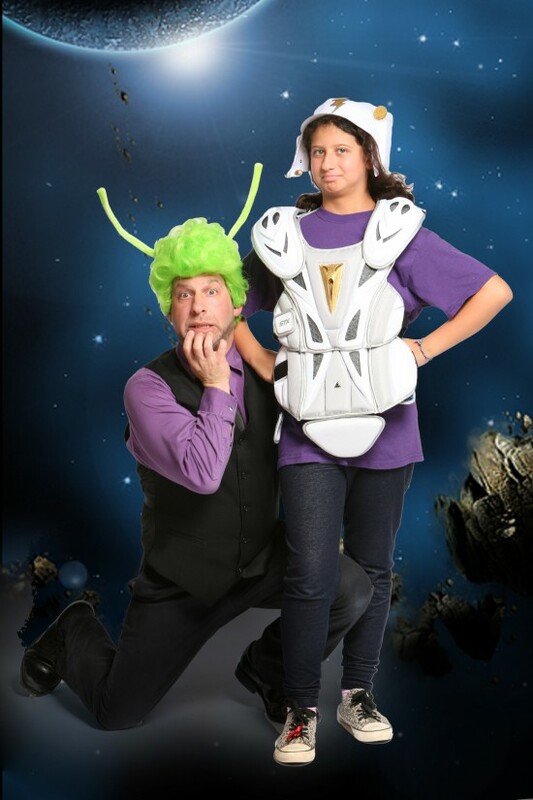 You're the star at Kenn Adams' Adventure Theater!, the family-friendly improv comedy show! Audience members make all of the sound effects, become parts of the scenery, suggest the twists and turns of the plot, and even leap up on stage to play the main characters by making up dialogue right along with the cast! You'll race into outer space, do battle with a hideous space-monster, outwit the three-headed space-wizard, cross a haunted forest, defeat the villain and save the world! 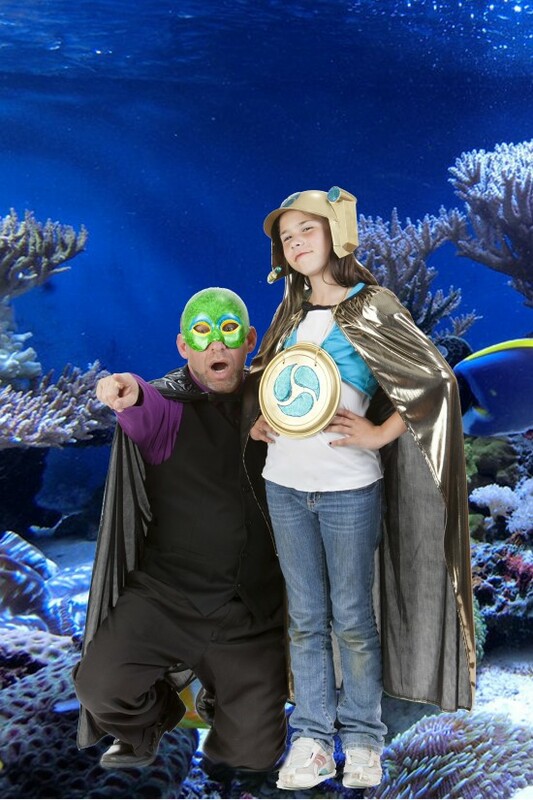 It's an action-packed, laughter-filled, interactive theatrical adventure for heroes of all ages! Perfect for performing arts centers, theaters, schools, libraries, private events, and parties! Kenn Adams' Adventure Theater is by far one of the most funny and well done children's shows done in the Bay Area! Adams does an amazing job of getting the kids to participate and have fun. By the end of the show the kids are standing by the edge of the stage just to get a better chance of being brought up onto the stage. 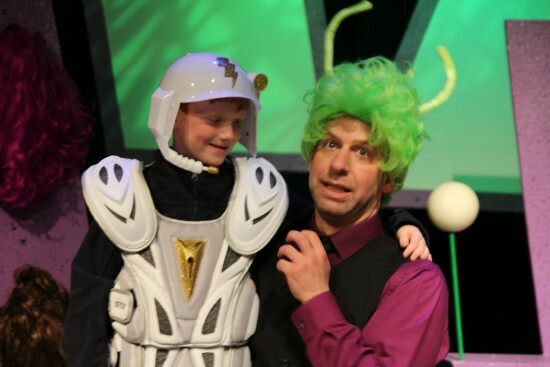 This show is not only great for the kiddies but the parents always have a great time as well. There is no shortage of laughter when Kenn Adams is talking! This show will certainly fill your day with fun and adventure! Audience members can expect 60 minutes of laughter and excitement as they participate in creating a spontaneous play through the magic of improvisational theater. They'll make the sound effects, become parts of the scenery, name the characters, decide what happens next, and even volunteer to come up on stage and play a main role! 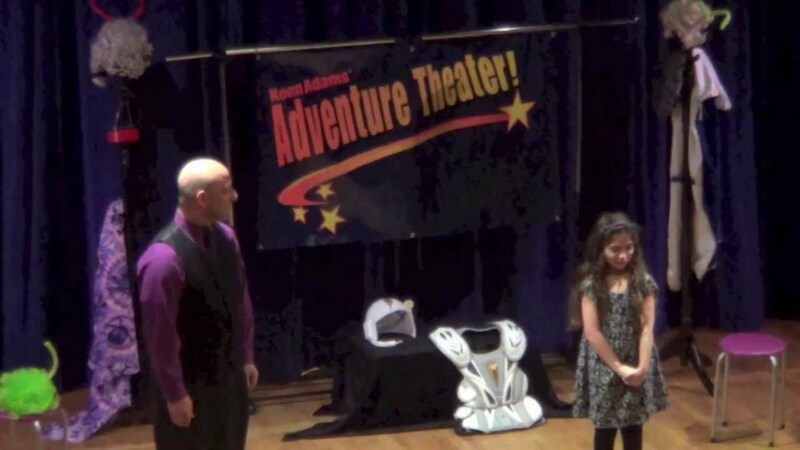 Kenn Adams' Adventure Theater! is a fast-paced, outrageously funny, and uniquely interactive show that uses the art of improvisation to engage the entire audience from beginning to end. It's an action-packed, theatrical adventure in which veteran improv-comedian Kenn Adams uses audience volunteers, onstage and off, to help create the play. More than twenty audience members will end up on stage by the end of the show, and several scenes take place directly in the audience section, transforming the crowd into parts of the space ship, trees and creatures in the haunted forest, and surprise characters that leap out of nowhere! Audience members make all of the sound effects, name the characters, decide what happens next, and even play the heroes of the story as Kenn masterfully incorporates all of their sounds, suggestions, actions and dialogue into a hysterically funny and outrageously spontaneous performance. Episode II: The Myth-Adventures of Melanie Moe! Episode III: Adventure Beneath the Sea! Kenn Adams' Adventure Theater! is perfect for venues of any size. Kenn has performed his show in 800-seat theaters as well as 50-seat library meeting rooms and everything in between. The show requires just 60-minutes for load in and strike, and has minimal technical requirements. 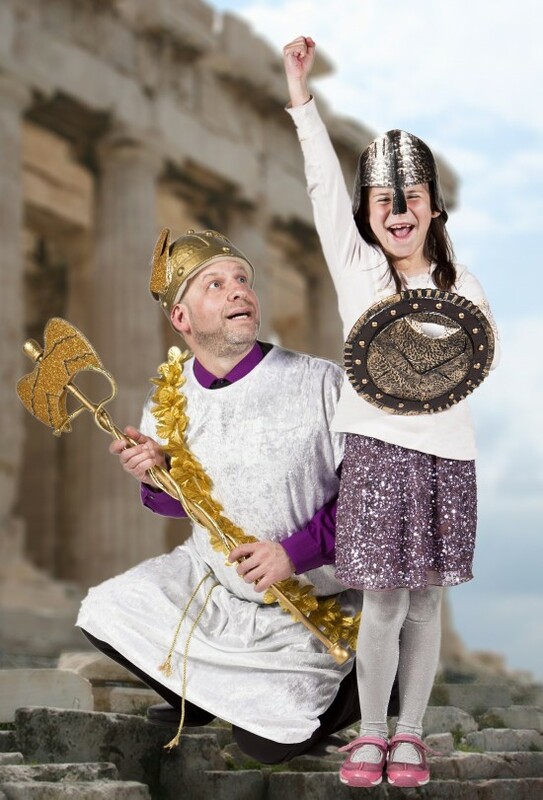 Kenn Adams is an actor, director, playwright and improviser with over twenty-five years of experience creating and performing improvisational theater and comedy for children, families and adults. He spent ten years directing and performing improvisational theater in New York City with Freestyle Repertory Theater, the New York home for TheaterSports, and has performed in various improv shows all across the country. He is the creator of the famous improv game-structures: Sit, Stand and Kneel and Ding/Buzz (Or, The Family Dinner) which have both been featured on the hit television show, Whose Line is it, Anyway? He is also the creator of the Story Spine, a tool for learning and practicing sound dramatic structure that has been embraced by improv companies, storytellers, and school teachers the world over, and the author of the book How to Improvise a Full-Length Play, the Art of Spontaneous Theater. He is currently the Artistic Director of Synergy Theater, an improvisational theater company in the San Francisco Bay Area, and the Chief Adventure Officer for Kenn Adams' Adventure Theater! with which he tours his interactive children's and family show to performing arts centers, theaters, schools, libraries and private events all over California.